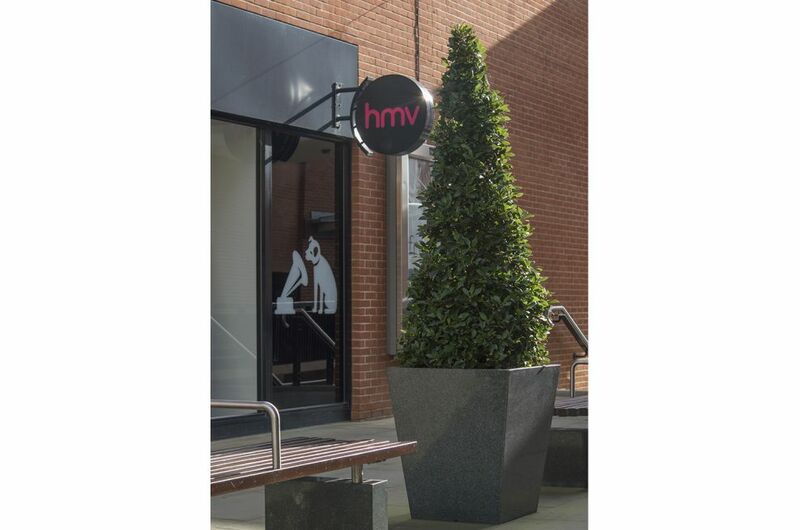 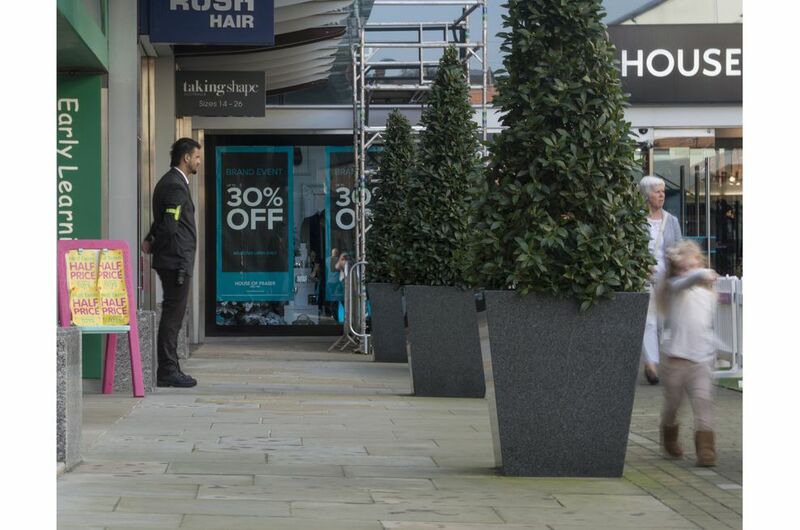 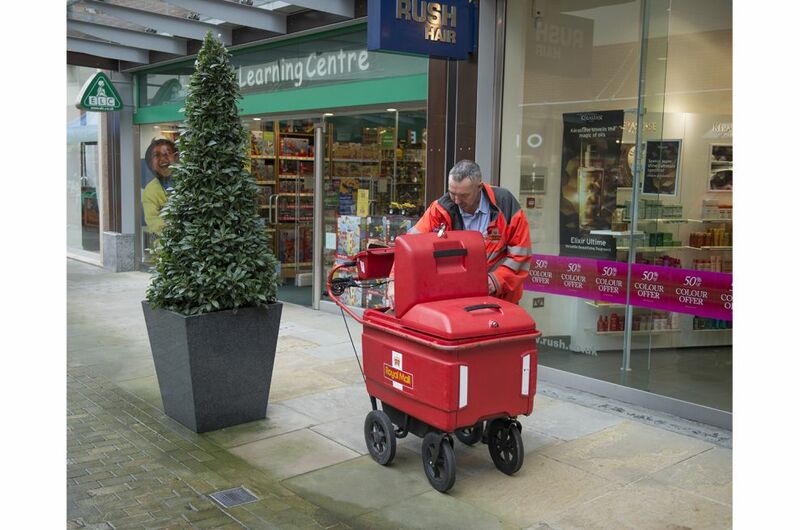 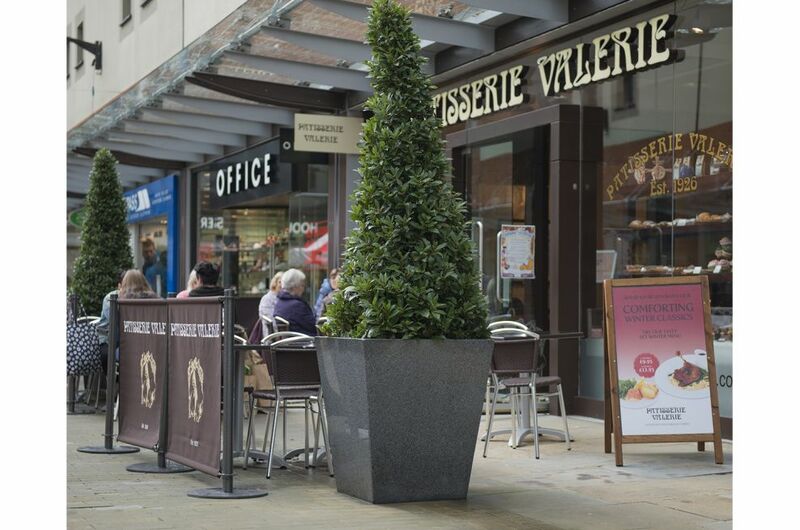 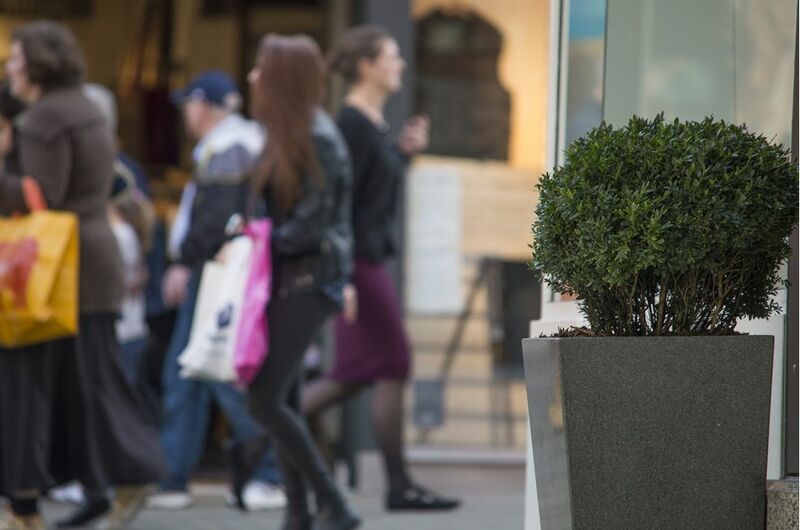 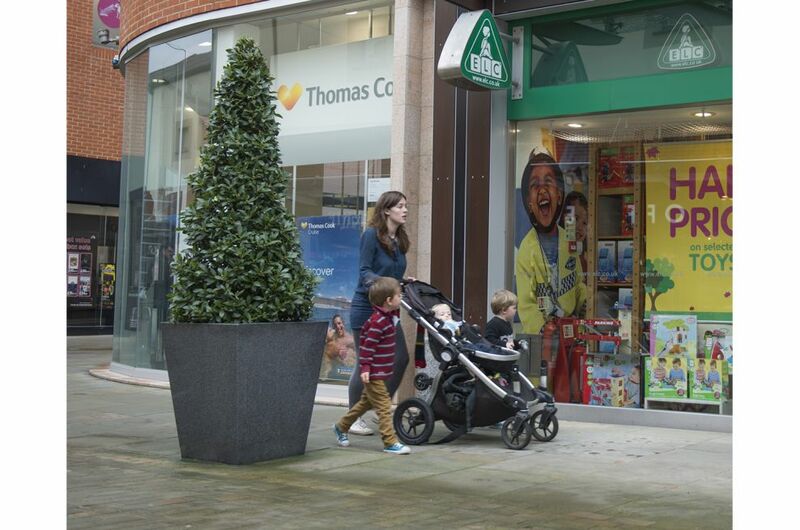 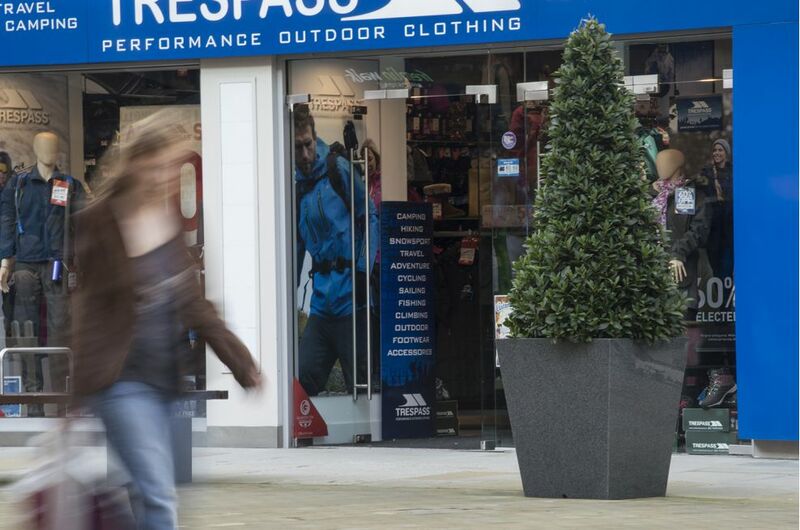 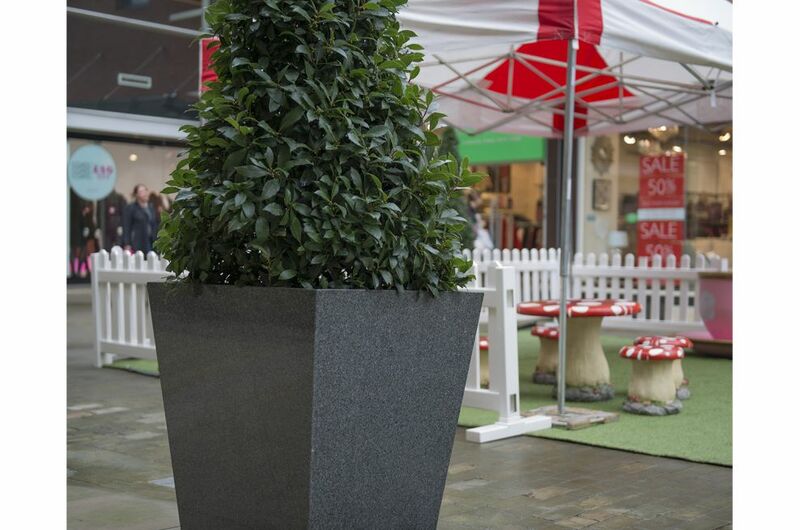 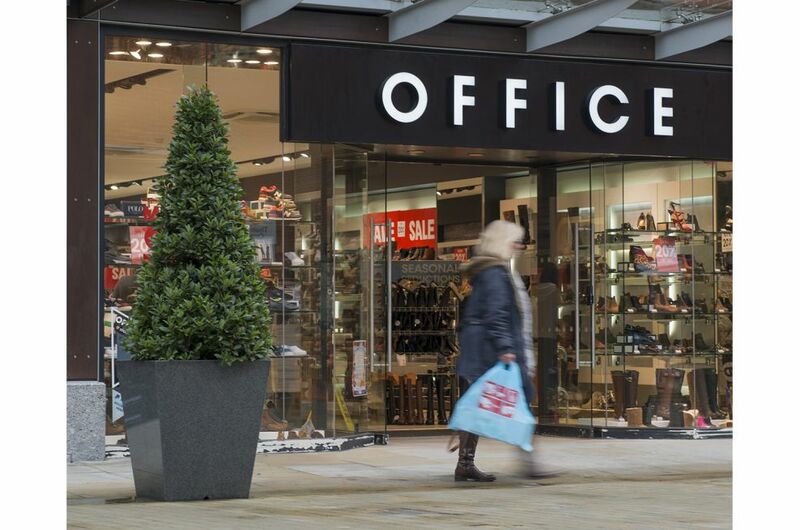 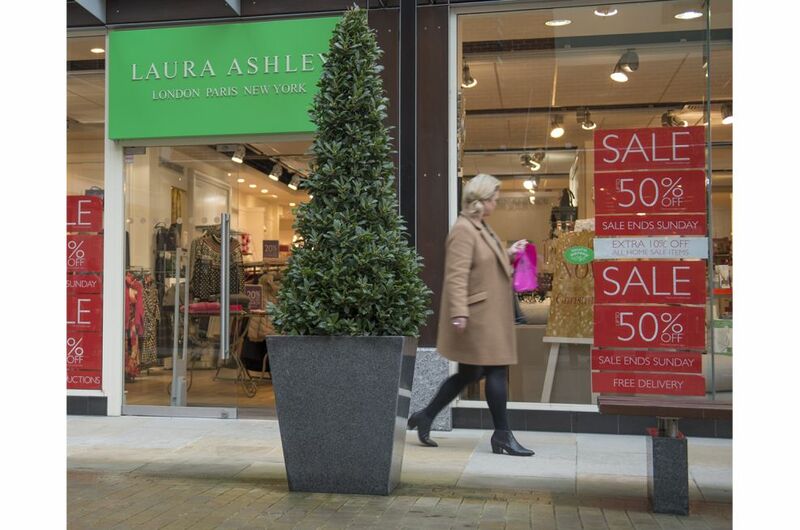 Granite street planters were selected for Fremlin Walk shopping centre in Maidstone, Kent. 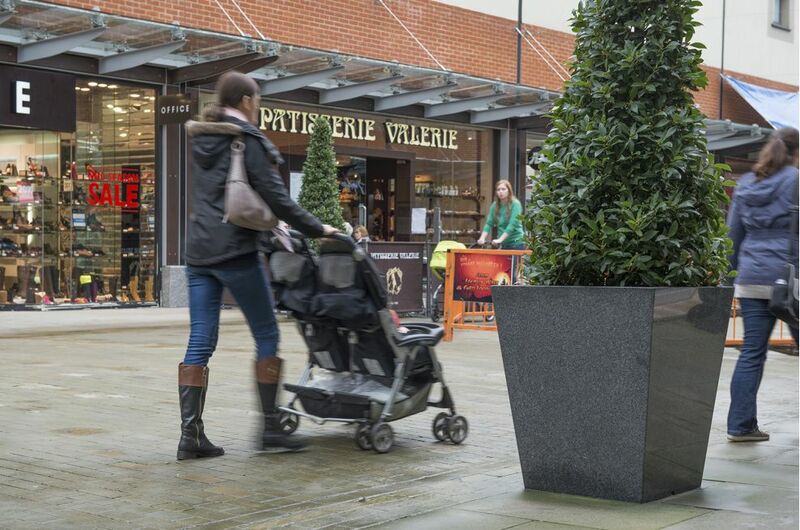 IOTA’s granite street planters are fabricated from cut sections of quarried granite, and their weight, strength and durability make them ideal for use in communal public spaces. 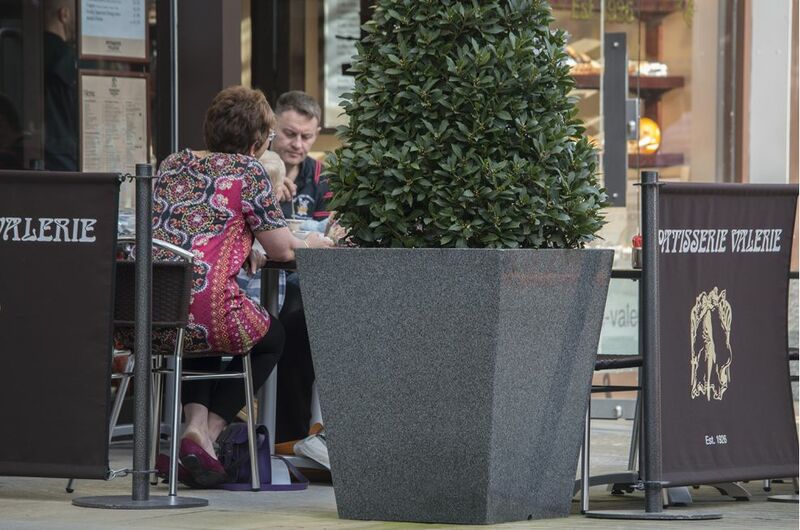 At Fremlin Walk, two stock designs were selected: the Granite Taper 800 planter [W/D 700 x H 800mm, Weight 157kg, Vol. 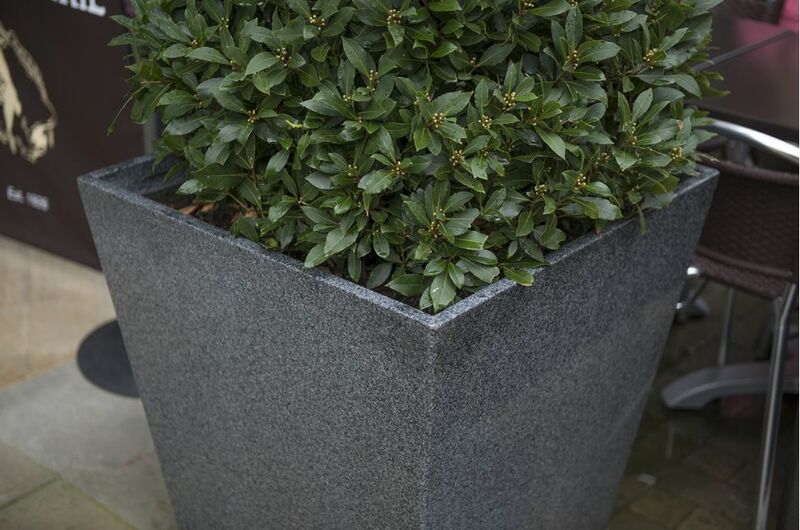 220L], and from our tall planters, the Granite Tall Taper X-Large planter [W/D 400 x H 850mm, Weight 67kg, Vol. 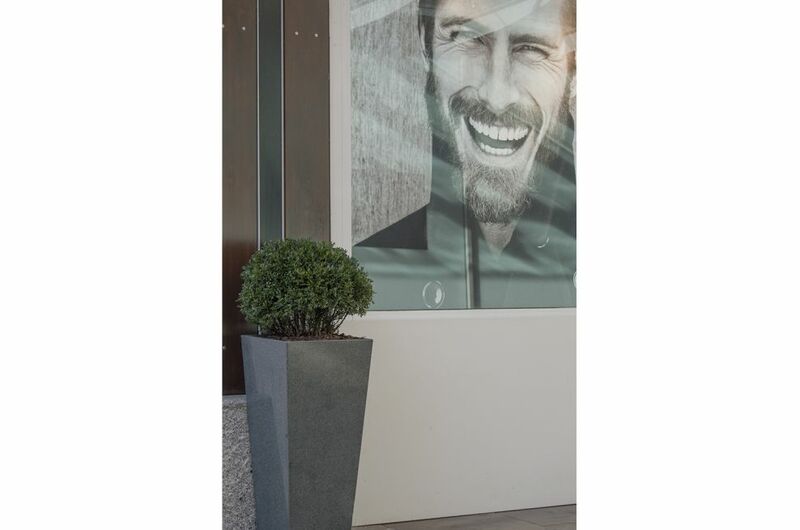 72L]. 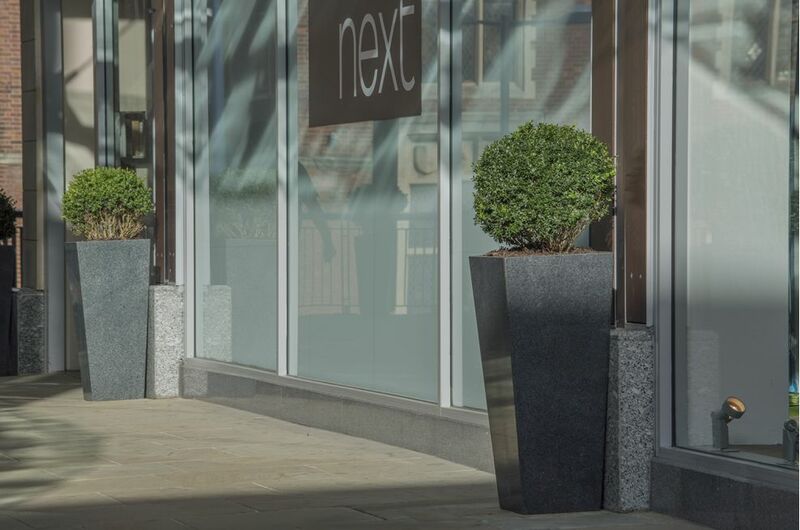 A total of 39 planters were used in the scheme, positioned along the full length of the exterior curved shopping street which acts as the spine for the centre. 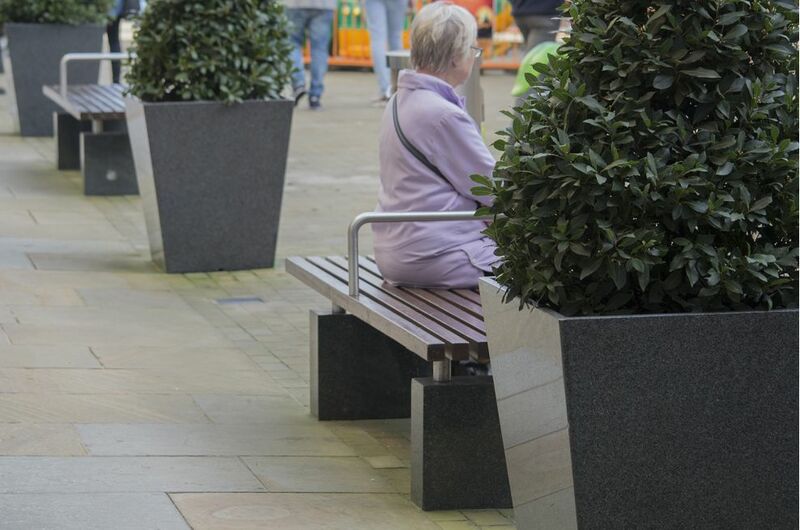 Fremlin Walk is an outdoor shopping centre in Maidstone town centre, Kent. 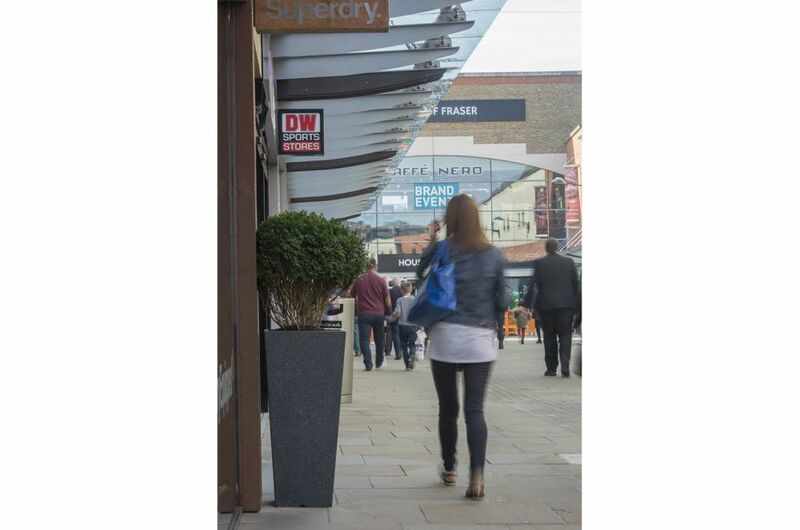 The centre opened in 2005, and has over 50 shops occupying 350,000 sq ft of floorspace, plus a 760 space car park. 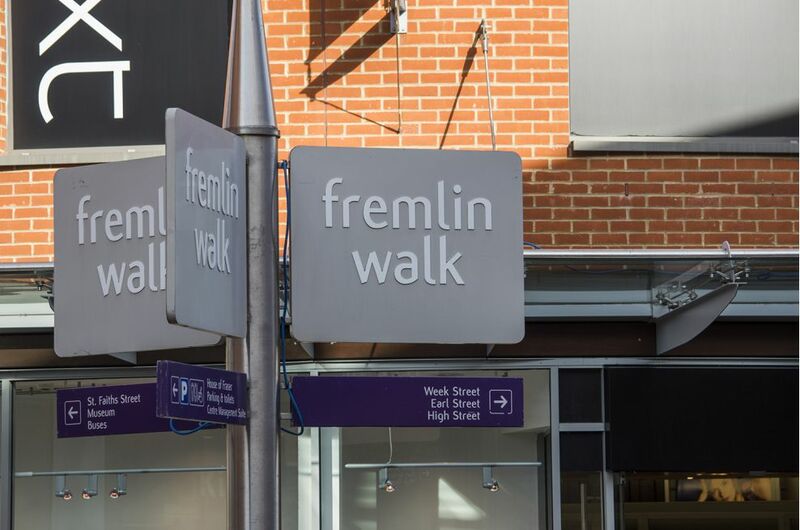 The site was previously a factory making Fremlins' Ales & Beers, and there are still many reminders of the site's past. 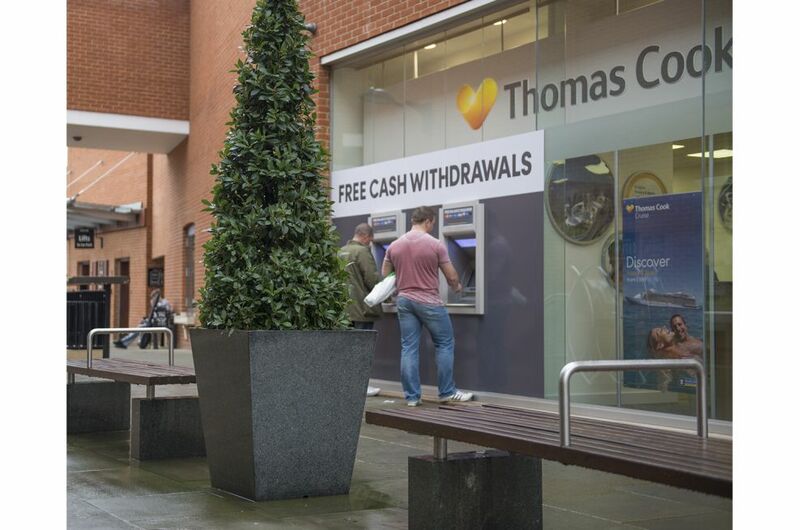 For example, the management office buildings bear the original gold elephant weather vane, an icon of the company; and the original brewery entrance has been maintained, and now forms one of the pedestrian entrances.